In Part 1 of the Cryptocurrencies series we talked about Bitcoin and the origins of the blockchain. If you missed that article, please read it first for background information. Today we are going to talk about Ethereum, smart contracts, and the ideas behind decentralized applications. 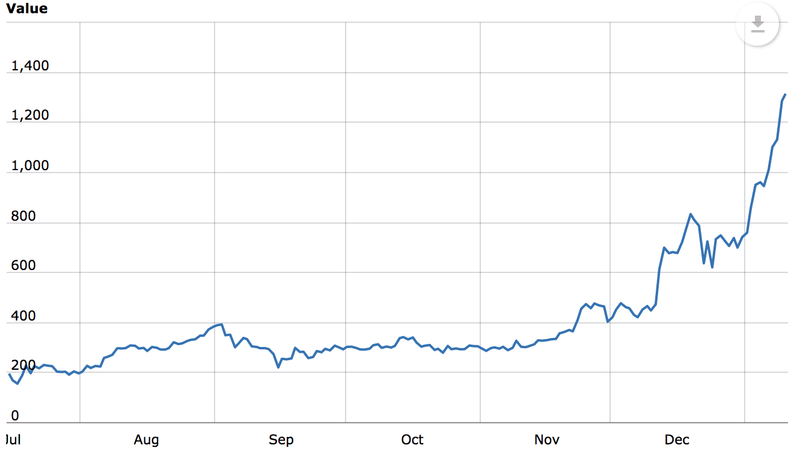 Bitcoin is definitely in the bubble territory and it has been long since we entered the irrational exuberance stage. Many, if not most ICO’s are speculative investments at best, or even outright fraud. Most people who talk about Bitcoin, blockchain technologies, and cryptocurrencies in general, whether those people are in the government, in the technology sector, in the finance industry, or specially if they are in the media, do NOT understand cryptocurrencies. Now, it’s entirely possible that I also do not understand cryptocurrencies as well, but in this series of articles I will attempt to explain to the best of my abilities the unique systemic properties that cryptocurrencies offer and why the decentralized crypto technology is here to stay. No, “fiat” currency nor central banks are going away, but neither is decentralized crypto technology. They will coexist and they world will be better for it. On the footsteps of Bitcoin came many other so-called “alt-coins” (alternatives to Bitcoin). Many of these are defunct now and none have offered a significant paradigm shift or any innovation until Ethereum came along. 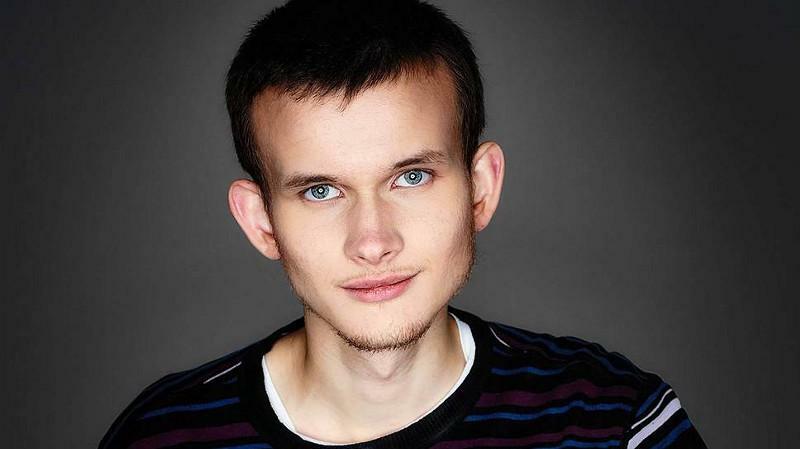 Ethereum is a decentralized cryptographic currency designed by Vitalik Buterin in 2013. In many ways it is like Bitcoin but with a twist. Not only is it a decentralized currency, it’s also a decentralized virtual machine. “What’s a virtual machine?” I hear you asking. In the computer industry, a virtual machine is a simulated standardized computer system. For instance, the language Java is compiled against a JVM (Java virtual machine). This is why Java code can run on Mac, Windows, Linux, Unix, and a myriad of other operating systems and architectures without having to be rewritten or recompiled to accommodate the difference between those computing environments. •	Mutant, a language similar to Google’s Go. All of these can be compiled and sent to the Ethereum network for processing. But why would you want to do that? Why would you need a decentralized “world computer?” To be perfectly honest, at this point, there is no one “killer app” (a must have product) that runs on the Ethereum network. But there are many possible uses for it even at the time of this writing. The original idea behind Ethereum VM was to implement something called smart contracts. It’s easiest to explain smart contracts with an illustration. Let’s say John has a farm and he wants to get insurance against drought for the next year. Bill does not think there is going to be a drought next year and is willing to ensure John’s farm. They could sign a traditional contract that specifies the level of rainfall for the next year and how that level should be determined and how much of a payout John shall receive in case this rainfall fails to materialize. In consideration for signing the contract, John will pay Bill the premium amount. Now this is all straightforward, but if no rain comes next year and Bill refuses to pay John, John will have to take Bill to court and seek the enforcement of the contract. The above scenario seems like a straight forward insurance contract, but what if you live in a jurisdiction that has a particularly hard to access civil legal system? (India comes to mind.) This is where the smart contract shines. John and Bill can create a smart contract with all the terms above and submit it to the Ethereum network. The smart contract would have a function that would determine the level of rainfall from some neutral, tamper-resistant website, such as the National Weather Service. If rainfall fails to materialize by a certain date, or in a certain amount, the contract will automatically transfer a given amount of funds from Bill to John and there’s no need to involve the government. Bill cannot refuse to pay because it’s out of his hands. To date, the most common use for smart contracts in the Ethereum network has been less lofty than insurance for farmers. Instead, these smart contracts are primarily used for gambling and initial coin offerings (ICOs). Most of these ICOs are overhyped and under developed projects that only increase in value due to the greater fool theory. Think of an ICO like an IPO, only you reach the exit stage of the project before you’ve even started it! Doesn’t that sound awesome? You get to raise all this capital on the promise that you will build something amazing in the future, but then, of course, you have no legal obligation to build anything at all, or ever return the money. In 2017 these new ICOs have reached a feverish pitch. Many companies with little to no connection whatsoever to the financial markets, cryptocurrencies, or even computer technologies in general, are shoehorning their projects into the ICO paradigm to raise what is essentially free cash. But don’t let the delusion and in some cases outright fraud that is happening right now in the ICO market fool you. Smart contracts themselves are not without value. 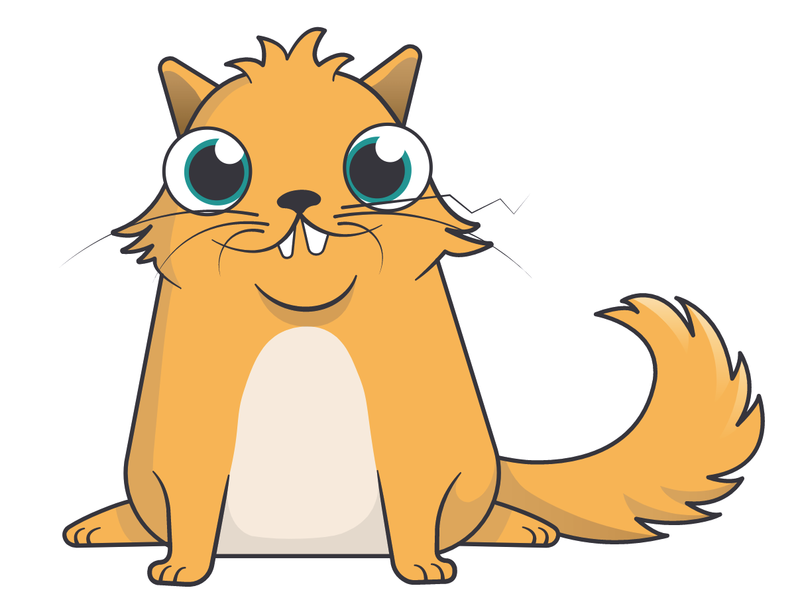 For one, Ethereum smart contracts gave us such stunning innovations as CryptoKitties. 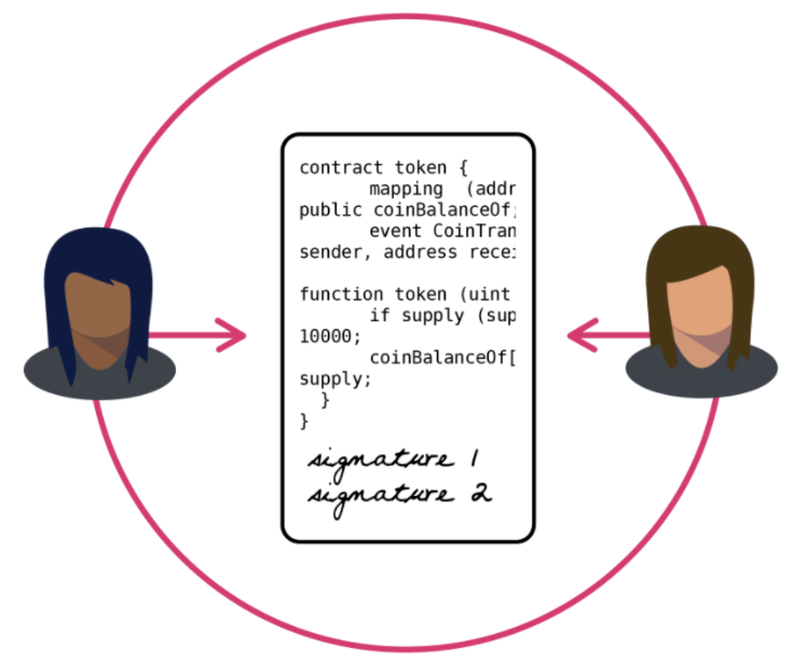 Ok, maybe that is a little facetious, but there are legitimate uses for smart contracts. The above example with farm insurance may seem like a silly example in a country like the United States with good access to the court system, but in many other countries with poor to no effective government such contracts could be a godsend for farmers and business people who require insurance. When we evaluate all the ideas introduced by various cryptocurrencies it’s important to keep in mind that decentralization may not seem important to us in the western world but could be extremely important for people with no access to an effective government. Now that we know a little bit more about Ethereum and Bitcoin (assuming you’ve read my previous article) let’s compare these two cryptocurrencies. To compare them we will look at the security of both networks, transaction speed, and benefits offered by the network outside the currency paradigm. When it comes to security both networks use high level encryption. Because both currencies are open source, the encryption methods used in both cases have been tested and examined thoroughly over the years and are fundamentally sound. The only thing that threatens both Ethereum and Bitcoin is the advent of quantum computers. To date, the quantum computers that do exist are not really the true quantum computers of science fiction magazines and data scientists’ dreams. At best, they perform slightly better than their traditional counterparts. If and when, the true quantum computers become reality they will present a real threat to many commonly used encryption schemes, including schemes used in Bitcoin and Ethereum. If quantum computers do become a reality, Ethereum’s flexibility might be its saving grace. Nowadays, the majority of Bitcoin is mined on large pools of application specific integrated circuit (OTC:ASIC) devices. The advantage of the ASIC miner is efficiency. 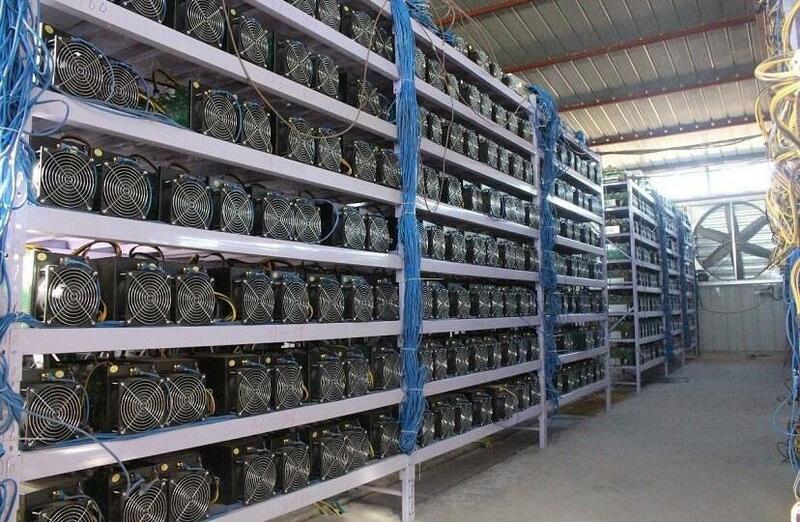 An ASIC is able to generate far more hashes per kilowatt of electricity. However, on the downside once an ASIC device is manufactured it is only capable of running the specific software code that it was designed to run. What that means is that the Bitcoin software is literally transformed into hardware. This effectively means that ASIC devices are unable to be updated if changes need to be introduced to the Bitcoin protocol. This is one of the reasons there are several forks of the Bitcoin protocol now in the wild (Bitcoin Cash and Bitcoin Gold) and why it’s so incredibly difficult to convince miners to adopt any changes or improvements to the Bitcoin protocol. 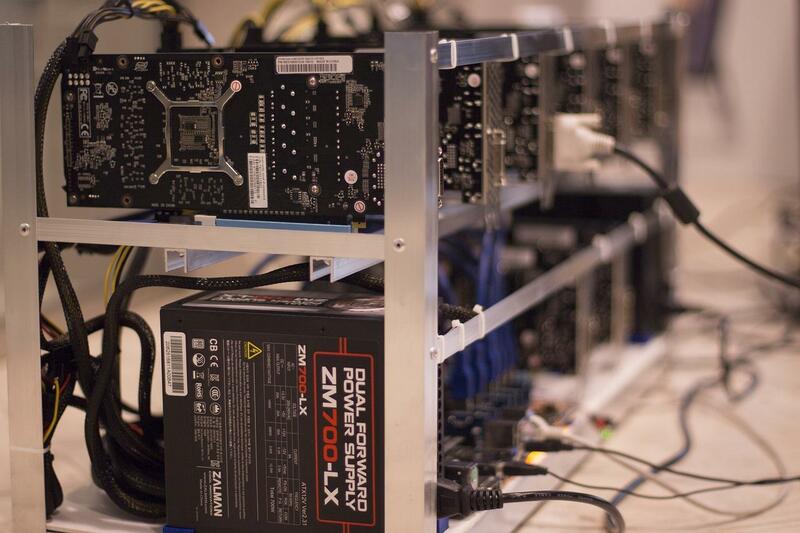 For large scale Bitcoin miners using ASICs, any significant change to the Bitcoin protocol means chucking away hundreds of thousands of dollars of equipment and replacing it with new equipment. By contrast, all Ethereum mining is done with AMD and NVIDA graphics cards. Because of the very nature of Ethereum and its smart contracts features, it is effectively impossible to design an ASIC that would run its protocol. This is a drawback and a strength. While in some ways less efficient, it does allow Ethereum to be far more flexible. If and when quantum computers become a serious threat, Ethereum would be able to adopt to the world of quantum computers faster than Bitcoin by altering its protocol to use quantum computing resistant encryption schemes. Both Bitcoin and Ethereum are far behind Visa, Mastercard, and other cryptocurrencies when it comes to transaction speed. However, when compared to each other Ethereum is capable of roughly 15 transactions per second on their current Proof-of-Work system while Bitcoin is only capable of roughly 3.3 transactions per second (NYSEARCA:TPS). So Ethereum is already more capable as an actual currency and it should get much better when Ethereum moves from Proof-of-Work to a Proof-of-Stake system called Casper. Since Casper is still under development we won’t discuss it in this article, but it is enough to say that if the system is successful it will increase the throughput on the Ethereum network significantly. For instance, NEO is another cryptocurrency that uses a Proof-of-Stake model, and it has a current transaction rate upwards of 1,000 TPS and a theoretical transaction rate of 10,000 TPS. This compares favorably to VisaNet, the network that processes Visa credit card payments. VisaNet processes upwards of 4,000 TPS and has a theoretical peak of 24,000 transactions per second. If Ethereum can match NEO’s current and theoretical performance by switching to a Proof-of-Stake system it will be well positioned to compete with the likes of VisaNet. Bitcoin is working on its own scaling solution called the Lightning Network. However, the Lightning Network by its very design will be a highly centralized solution which in some ways defeats the entire point of Bitcoin. There is an excellent article by Jonald Fyookball that demonstrates mathematically why it will be impossible to achieve the kind of speeds the Lightning Network developers promise without making a highly centralized network. I recommend taking a look at that article for more details, but in summary, to achieve scale the Lightning Network would move transactions off the Bitcoin blockchain into a Lightning Network side channel. Each payee and payor would have to have an established relationship, which requires two Bitcoin blockchain transactions to open and another two transactions to close, thus defeating the whole point of the Lightning Network, or a single trusted intermediary. Multiple intermediaries are possible but Jonald Fyookball explains why it would become significantly impractical. So in essence, the Lightning Network would replace the likes of Visa with its own centralized alternative. So to sum up, both Ethereum and Bitcoin are working on a scaling solution. Without a scaling solution neither is useful as a currency. The Proof-of-Stake solution Ethereum is working on, if successful, should allow it to achieve significant scale without compromising its decentralized nature. Bitcoin’s Lightning Network will also theoretically keep it decentralized, but based on articles referenced above it will be impractical without significant centralization. Since both systems are currently in development it is hard to judge which system will come out on top. However, a fully integrated scaling solution is likely better and more secure than a bolt on solution. While Bitcoin is strictly a currency system with little to no support for smart contracts and no other utility, Ethereum does provide a significant level of utility through its smart contracts feature. It is often described as “the world computer.” The Ethereum Virtual Machine can be used for writing smart contracts, creating new cryptographic assets, raising CryptoKitties, folding proteins, analyzing astronomy data, and any other various fascinating applications. So on this matrix Ethereum is a clear winner. If you read my previous article on Bitcoin you already know that I believe it’s in a bubble. Its valuation is significantly disconnected from the value proposition that it offers. Ethereum, on the other hand, does offer a significant value proposition in the form of its smart contracts and censorship resistant computing. But, is it worth its current price?